Clean and wash prawns and cut the prawns in small pieces, 2-3 pieces depending on its size. Grind Grated coconut with ginger, green chillies and garlic. 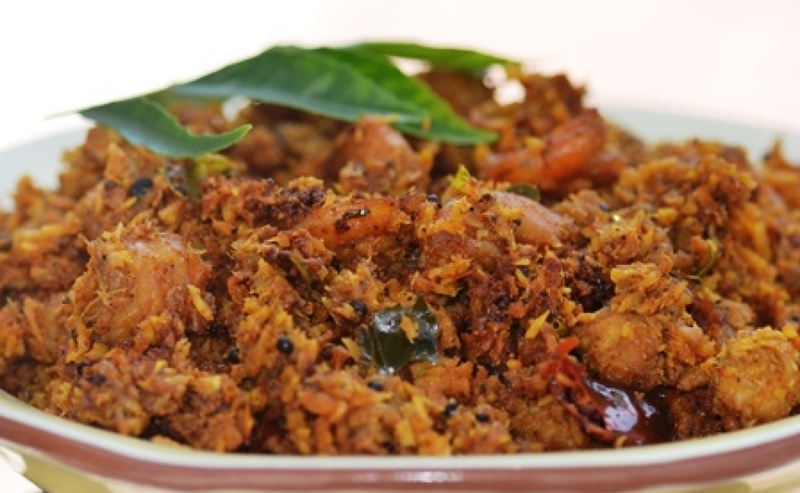 Mix prawns with ground coconut, Chilly Powder, Coriander Powder, Turmeric Powder, Brindleberry, curry leaves, small pieces of sliced onions, salt and little water. Mix it well. Keep it on fire. Allow it to boil and keep it on low flame, till it gets cooked and partially dry. Serve it as side dish for rice.